"Recently, the RoboForm toolbar has been disappearing from Chrome, at other times reappearing, without ant discernible pattern or cause. I have hundreds of logins and passwords and can't live without RoboForm. Suggested solutions?" 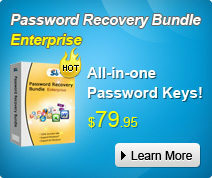 Nowadays, we have all kinds of login password, secure password to protect our privacy on the Internet. However, keeping all tracks of those password is painful. That's what RoboForm is made for. However, many people reported that RoboForm Upper or Lower Toolbar does not show up on their Browser? In this article we get some possible fixes for this issue. Before that, ensure that you are running the latest version of RoboForm. Note: If you unfortunately loss password saved on your Chrome, FireFox or IE, you can try SmartKey Password Recovery to recover them. 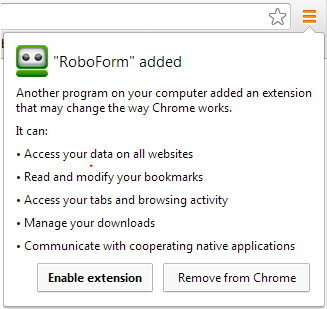 Uninstall RoboForm including all related extensions from Chrome: Tools -> Extensions. Install the latest version of RoboForm and remember check Chrome checkbox during the installing. In Chrome select Tools -> Extensions and check Enable option to enable RoboForm in Chrome Extensions. Right click on the RoboForm icon and then click on Options. Uncheck the box that says .Show Lower RoboForm Toolbar. and check the box that says .Enable Popup RoboForm Toolbar. In your browser, navigate to View>Toolbars and confirm that the RoboForm Toolbar is turned on. If you do not have a 'View' option , click Firefox button/icon in the top right, mouse over the Options, then from the drop down menu make sure the RoboForm Toolbar is checked. 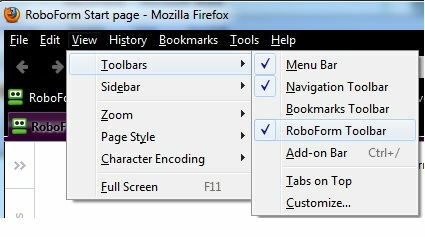 If RoboForm Toolbar did not appear in your list, Make sure RoboForm is enabled in Firefox AddOns. In Firefox select Tools -> Add-Ons -> Extensions -> Click RoboForm Toolbar addon, click Enable if it is disabled. Finally, Restart Firefox browser. Generally, the RoboForm toolbar will show along the top of your screen in Internet Explorer. 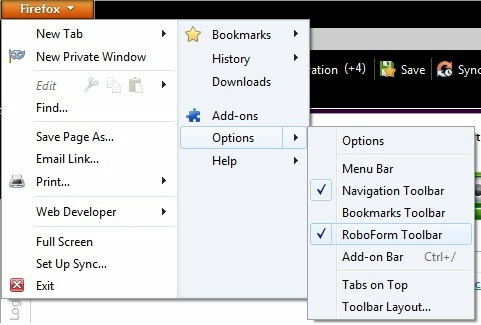 However, if IE settings being reverted back to defaults, or IE running in "Metro mode" or you activate the "Disable add-ons" feature, RoboForm toolbar may disappear from IE. In the top menu in your browser, go to View > Toolbars and make sure that RoboForm has a check next to it. Or right-click on the gear icon on the upper right of the browser. Ensure RoboForm is enabled in Internet Explorer Addons. 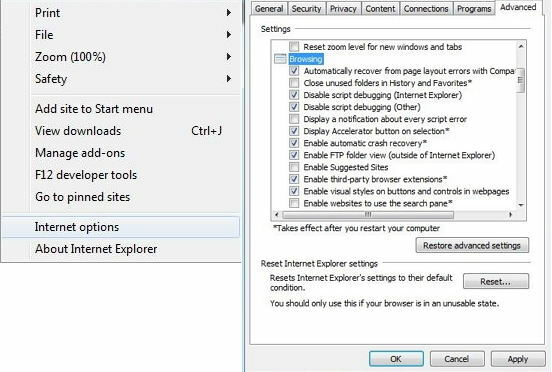 Go to Internet Explorer select Tools (Gear icon) -> Manage Add-Ons ->Click each RoboForm Addon and click Enable button, if it is disabled -> Restart the IE browser. If RoboForm toolbar still does not show up, go to Tools > Internet Options or left click the gear and select Internet Options. Select Advanced and scroll down to Browsing. Under Browsing, check Enable third-party browser extensions. 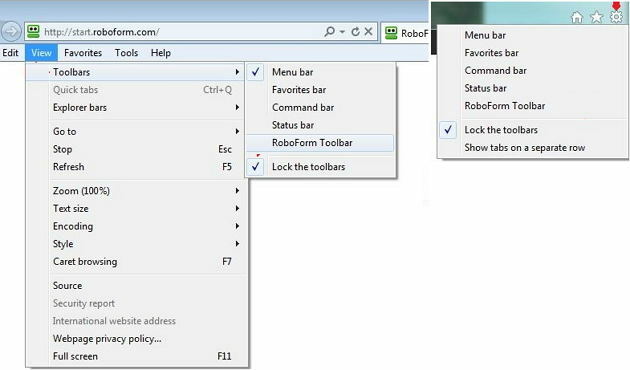 To sum up, we have show you how to fix RoboForm upper or lower toolbar does not show up in Chrome, FireFox or IE. Please share them with your friends, if you think it is helpful.